Large healthcare providers experience more data breaches than smaller healthcare providers, at least that is what a healthcare data breach analysis from Johns Hopkins University Carey School of Business suggests. For the study, the researchers used breach reports submitted to the Department of Health and Human Services’ Office for Civil Rights. HIPAA-covered entities are required to submit breach reports to OCR, and under HITECT Act requirements, OCR publishes the breaches that impact more than 500 individuals. The Ge Bai, PhD., led study, which was published in the journal JAMA Internal Medicine, indicates between 2009 and 2016, 216 hospitals had reported a data breach and 15% of hospitals reported more than one breach. The analysis of the breach reports suggest teaching hospitals are more likely to suffer data breaches – a third of breached hospitals were major teaching centers. The study also suggested larger hospitals were more likely to experience data breaches. 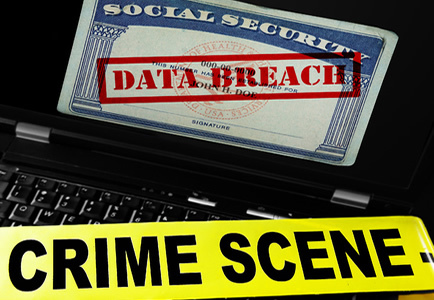 Now, a team of doctors from Vanderbilt University, in Nashville, TN have called the data breach statistics details in the Johns Hopkins study into question, pointing out a number of potential errors could have crept in due to the nature of the data available. Daniel Fabbri, PhD wrote to JAMA Internal Medicine pointing out that the claims made by Bai and his team may not be correct. “Such a broad claim neglects inherent biases in data collection and reporting practices,” wrote Fabbri in the letter. He explained that the data set available to the researchers only includes data breaches of 500 or more individuals, not smaller breaches which are not published. Larger hospitals have more patients, and could therefore be more likely to reach the 500-patient threshold for inclusion in the data set. The researchers also argue, that in order for a breach to be reported, it must first be detected. Larger cybersecurity budgets mean more cybersecurity staff and better technology. Breaches are more likely to be detected by larger hospitals, whereas a breach at a smaller healthcare organization may remain undetected for longer. Regardless of size, hospitals are likely to be able to detect lost or stolen devices, but detecting insider breaches is likely to take much longer for smaller hospitals that lack technology and the resources to conduct internal audits of data access logs. They also explain that there may be issues with the quality of the data. Just because it is a requirement of HIPAA to report data breaches, that does not necessarily mean that healthcare organizations will. It stands to reason that large healthcare organizations, with larger volumes of health data are an attractive target for cybercriminals. Large quantities of data mean a big payday for hackers. However, that does not necessarily mean they are targeted by cybercriminals much more than smaller organizations. Fort Knox holds significant gold reserves, but most bank robbers attack easier targets. TheDarkOverlord, a hacking group well known for targeting the healthcare industry, tends to attack smaller healthcare organizations – They are typically easier to attack as they do not have the resources or staff of their larger counterparts to devote to cybersecurity. What is clear, is that based on the data available, obtaining meaningful healthcare data breach statistics is problematic. As the Vanderbilt researchers explained, it is difficult to conduct meaningful research based on the data set available, especially research that could be used as a basis to change hospital privacy practices.